The Greek Centre on Lonsdale Street is Melbourne’s Greek hub, abuzz with educational, cultural and all manner of activities that could only be made possible with the contribution of great benefactors. 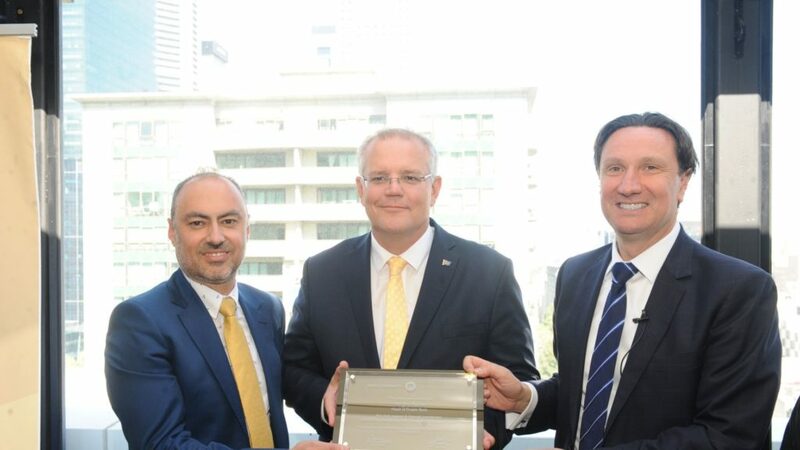 During the recent visit of Prime Minister Mr Scott Morrison at the Greek Centre, honorary plaques of appreciation were presented to businessman Mr Greg Kaias and Mr Jim Sarris, head of Delphi Bank, in appreciation of their financial contribution towards the development of The Kaias Education Level and The Delphi Bank Mezzanine Level. The plaques were presented by Mr Morrison and the Greek Community President Bill Papastergiadis. “I particularly thank those that were just honoured here for their very genuine contributions, for realising all of this and keeping it happening,” the prime minister said. Mr Sarris, speaking about Delphi Bank’s support to the Greek Community, said: “Our customers and community are at the core of Delphi Bank’s ethos. It is important that everything we do is personalised, and about fostering relationships with them. Our support of the Greek Community of Melbourne and Victoria has always and will continue to be an extension of this – a way for us to give back to the community that has long-supported us. Mr Kaias congratulated the GCM Board for the “great work they do”. “I would like to congratulate the President of the Greek Community of Melbourne, Bill Papastergiadis and the members of the Board, for building the Greek Centre and for the great work they do as a leading Greek organisation,” he said. “Greg Kaias and the Delphi Bank stood tall and backed this vision with significant donations. Their support was critical to the success of this project. More importantly, Greg Kaias and the Delphi Bank were true pioneers in identifying the importance of this project when the Centre was only a mooted idea. Since the construction of the 15 storey centre, it has become a global icon in the Greek diaspora. It has rejuvenated our community and reset our organisation. Our community has been founded on the support of benefactors throughout its 120 years. Without the support of many people either through donating their time or financial support, then our organisation would not be here. The announcements with the Prime Minister is one example of this support for our organisation. We are proud to have beside us the generous benefactors, Greg Kaias and the Delphi Bank. We acknowledge their leadership in our community and we are all better for having them support the Greek Community of Melbourne. 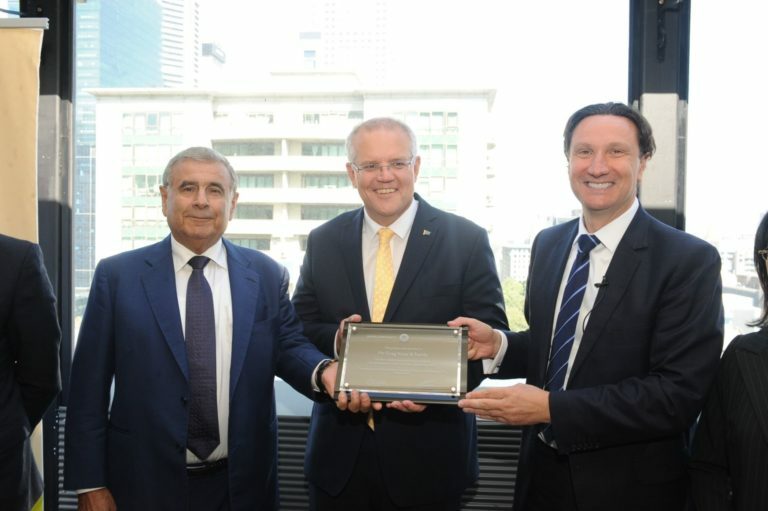 Prime Minister Morrison was very specific in his comments in thanking the benefactors for their support. He acknowledged the importance of their role and thanked them.